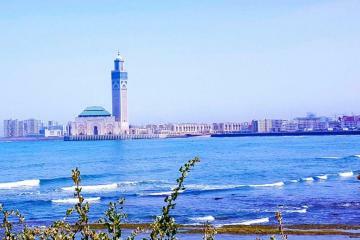 With this tour, PURE MOROCCO Tours offers you the opportunity to experience the essential of the Moroccan kingdom with your family. 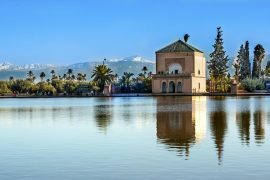 Enjoy Marrakech, Ouarzazate, Atlas Mountains, Sahara Desert and several activities; enjoy all this in a warm family setting. Welcome to Morocco, this tour is meant to be yours. Upon arrival you will be met at the airport and transferred to your hotel. Settle in and unwind by all means, but don’t miss our late afternoon adventure: a horse-and-carriage (calesh) ride to Djemaa el Fna, the “Assembly Place of the Nobodies” and the main square in Marrakesh. There’s always something going on in this square, but it really comes into its own just on sunset. Street hawkers and performers compete for your attention: snake charmers, tooth-extractors, jugglers, musicians, poets, water-sellers, story tellers, acrobats, beggars and thieves – and some (quite literally) with bells on! As are at least 100 food-stall holders, selling grilled meats and other local foods. It’s all yours to enjoy: an overwhelming feast for the senses. Dinner & Overnight at your hotel. 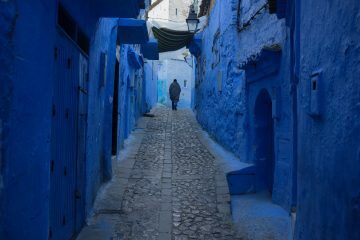 We begin our day this morning with a more extensive city tour which will help the whole family come to terms with Morocco’s history. We explore the souks that spread out from the Djemaa el Fna and wend our way through a labyrinth of narrow alleyways looking for hidden treasure! A highlight for many will be the backstreets where the city’s artisans are at work, hammering out the metal lanterns and platters you find on sale throughout the medina. After a short rest back at the hotel, we head out again at 3:30pm, this time to La Maison Arabe (The Arabian House) where you’ll all learn to cook a wonderful Moroccan meal. The best part of this experience will be sitting down to eat all that you have created – entrée, mains and desert. We have one and a half hour drive ahead of us this morning as we make our way towards Imlil, via Moulay Brahim. Expect switch-backs, hair-pin bends and eye-popping views over the rugged High Atlas. 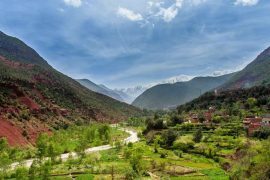 Once we’ve reached the roadhead, we have an opportunity to stretch our legs, hiking to the picturesque Kasbah Du Toubkal. Today we hike out from Imlil, venturing further into the High Atlas mountains. The air is crisp at higher altitudes and depending on the season, there may be wild irises to pick along the way. We stop for a picnic lunch along the way at Tacheddirt Berber village, before returning to our Kasbah. After breakfast, we will drive to Ouarzazate via the Tizi N’Tichka saddle, stop at Ait Benhaddou. This fortified town or ‘ksar’ is a world heritage site that has featured in many famous movies – including Gladiator, The Mummy and Prince of Persia. It also features in the TV series, Game of Thrones. All the dwellings within the Ksar are made of mud and rise from the surrounding landscape like a fantastic, oversized sand-castle. It truly is an extraordinary ensemble of buildings that showcase the full gamut of pre-Saharan construction techniques. Continue to Ouarzazate. 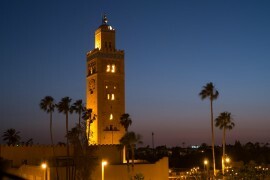 Dinner & Overnight at your Riad. After having breakfast at your hotel, you will be met by a local guide and start your half day tour of the city. 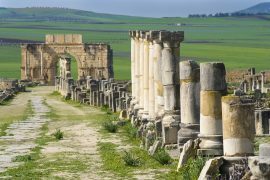 Places to visit are the international cinematographic studios where several movies had been shot like Gladiator, Prince of Arabia, Babel and others. 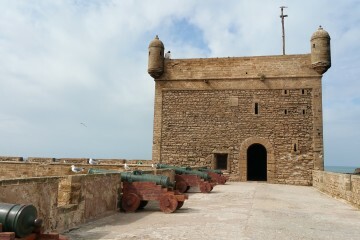 Another place to visit is the Taourirt Kasbah. Departure toward Erfoud, stop in Kelaa Megouna known for the production of cosmetic products using the extract of the local grown roses. Continue north east to the city of Bomalen Dades to see the beautiful Kasbahs with a panoramic view of the Valley and the Mountains beyond. Continue towards Tinghir and the Todra Gorges, 300 meters high and one of the most impressive Moroccan sites. The Todra Gorge is one of the premier climbing and trekking destinations in Morocco with high walls offering hundreds of routes of sport and multi-pitch climbing. Continue to Erfoud. All rates are listed in Euro per person per trip and are valid all year round, except during Christmas and New Year breaks. The rate of Solo is valid for solo traveler who is travelling alone. Tips to driver and Guide. 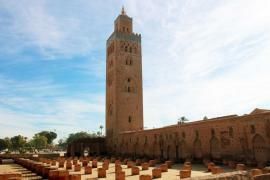 This tips are not mandatory but expected accordingly with Moroccan tradition. This short inquiry is FREE and NOT a commitment for booking. No booking fees!